find something as uniquely lovely as you. Delicate greenery and wisps of flower detailing make up the Camilla. The leafy border, coupled with the handlettering, flow together seamlessly. This suite offers a uniquely fresh, feminine feel. For every wedding style, the Blair suite offers a clean, classic look. 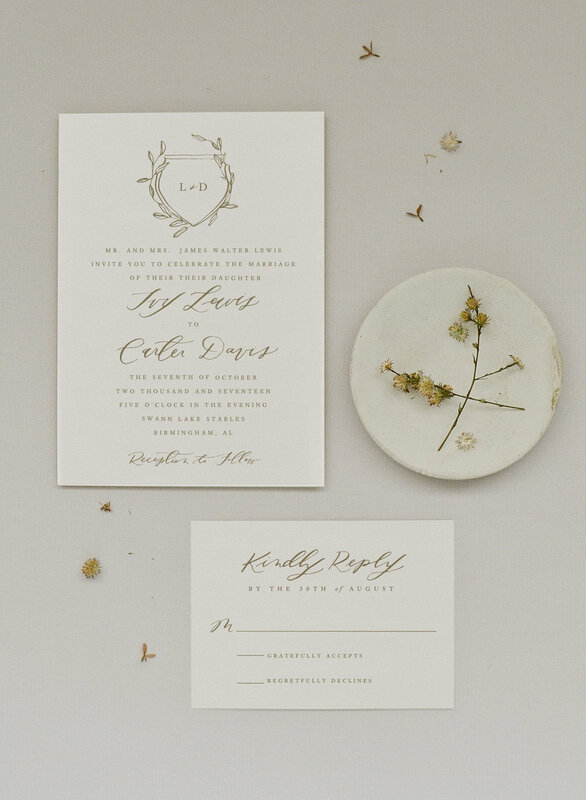 It's delicate design and crisp typography present a beautiful and timeless keepsake. This suite, though soft and refined, has a masculine quality to it. Sophisticated elegance meets organic. Ivy presents a classic crest entangled with greenery. This suite has a perfect mix of calligraphy and type. A mix of clean lines with organic touches.